NEWINGTON – The spirit of Sam Pasco lives on through the music of his former band. Dubbing themselves “The Sam Pasco Memorial Band,” the group visited the Lucy Robbins Welles Library for a performance a few days after Christmas. 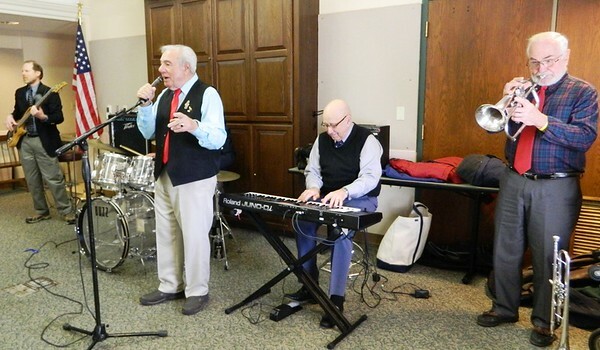 Led by keyboardist Joe Giangrasso, members played holiday favorites for a crowd in the library’s community room. The gifted saxophonist passed away on March 23, 2017 at age 89 after a life of musicianship and philanthropy. Pasco’s service began at age 16, when he began performing in front of World War II veterans still recovering from severe injuries. He went on to become a founding member of the Al Jarvis Orchestra, a career for the next 50 years. 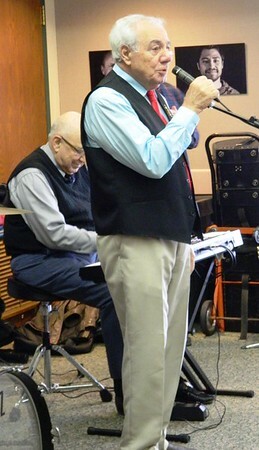 The Sam Pasco Trio formed in 1977 and performed about 50 concerts each holiday season inside nursing homes, hospitals, schools and libraries. St. Francis Hospital, Hartford Public Library and the Sisters of St. Joseph Convent were some of their favorite venues. Members also came to visit the LRWL frequently over the years, due in part to longtime fan Al Cohen. Cohen, a Newington resident, WWII veteran and Kiwanis Club member, passed away July 27, 2017. Even without their frontman, the band happily returned to Newington this year. “We have the awesome pleasure of welcoming the former Sam Pasco Band and The Wonderful World of Music here today,” librarian Pat Pierce announced to the crowd gathered inside the community room. In the audience were band members’ family members, local fans and families. The show was sponsored by the Bloomfield Rotary Club, of which Pasco was a member. 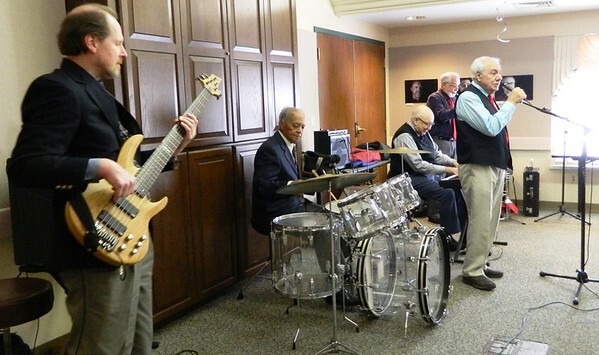 The musicians have continued performing after his death thanks to donations from groups like this and membership in the CT Valley Federation of Musicians, Local 400. “We’re going to keep this going as long as we can,” Giangrasso said. Posted in Newington Town Crier, Newington News on Thursday, 3 January 2019 08:14. Updated: Thursday, 3 January 2019 08:16.